A report this week recommended an overhaul of the system for dealing with complaints against gardaí. THIS WEEK A major report recommended a drastic overhaul of the complaints system for Ireland’s policing service. For more than a decade, complaints about alleged wrongdoing by members of An Garda Síochána have been dealt with by the Garda Ombudsman, Gsoc. Some years, the ombudsman referred more than half of complaints back to the police force for investigation. Two years ago, Ombudsman Judge Mary Ellen Ring highlighted the need for a crackdown on ‘vexatious’ complaints by members of the public, which she said were taking up time and sometimes causing distress to gardaí who had done nothing wrong. At the time, just six people over a ten-year period had been convicted in relation to vexatious complaints. According to figures released to TheJournal.ie through a Freedom of Information request, there were 19 complaints last year deemed ‘frivolous or vexatious’. Six of these complaints alleged abuse of authority and seven related to falsehood and prevarication. In 2017, one member of the public was prosecuted for section 110 offences – “information that the person knows to be false or misleading”. Up until the end of July this year, Gsoc had deemed a further eight complaints inadmissible because they were frivolous of vexatious. Under the Garda Síochána Act 2005, a complaint can be deemed inadmissible if it is ‘frivolous or vexatious’. The ombudsman can also decide to discontinue an investigation of it discovers that the complaint was frivolous or vexatious after it has been admitted. Rank-and-file members of the force have long been calling for a change to the system. 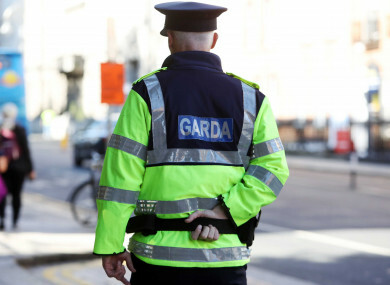 “We’re hugely frustrated about the ability of people to complain almost without fear of being prosecuted for making false complaints or vexatious complaints,” one garda told TheJournal.ie. “Frivolous complaints that shouldn’t even be entertained also pile the pressure on members. Only a tiny proportion of the persons making malicious, frivolous, vexatious complaints are prosecuted. What really messes gardaí around is the fact a person can make a complaint against a garda and Gsoc might take a look at the complaint and decide the issue is inadmissible. It may even be something that doesn’t constitute an offence/breach. It has been difficult to take action in these circumstances, according to the ombudsman’s office. “Making a complaint which is deemed by Gsoc to be frivolous or vexatious is not evidence of an offence. A complaint may be deemed frivolous or vexatious because, for example, a person has repeatedly complained about something that, even if proven, would not constitute a breach of discipline or an offence by a garda,” it explained. While it is an offence to knowingly make a false or misleading statement to Gsoc, cases deemed ‘frivolous or vexatious’ do not necessarily contain statements which the person knew to be false or misleading, or which meet the threshold for referral to the offence. Gsoc is not empowered to investigate members of the public. That is not likely to change, but if it is streamlined under new recommendations, this may cut down the time it spends on complaints it should never have been looking into in the first place. The report from the Commission on the Future of Policing in Ireland published this week recommended that Gsoc should be superseded by a new independent complaints body, to be called the Independent Office of the Police Ombudsman (IOPO). In 2016, more than half of investigations by Gsoc did not disclose a criminal offence and were referred back to An Gara Síochána for investigation. The report found Gsoc does not have the resources to investigate independently the volume of complaints it is receiving. It also noted that many fall into the category of “performance management complaints”, where members are alleged to have been impolite, incorrect or negligent in their dealings with individuals or organisations. The report recommended the work of the IOPO should be that it investigates incidents rather than individuals “so as to find fault where appropriate, identify what needs to be learned, and make recommendations for change as required”. It recommended that the IOPO should focus on the investigation of issues such as potential breaches of law, violations of human rights or corruption, or those which might appear to indicate a widespread or systematic problem within the police. It also stated that investigations of all complaints should be followed up in a timely manner not only as a service to the complainant but also the member who is the object of the complaint. Email “Gardaí 'hugely frustrated' at false complaints made to Gsoc 'without fear of prosecution'”. Feedback on “Gardaí 'hugely frustrated' at false complaints made to Gsoc 'without fear of prosecution'”.